There used to be so much more distilling happening in Edinburgh. Aside from the big North British grain distillery and a couple of ‘craft’ upstarts potentially about to appear, almost all of that heritage has gone – consigned to the ‘lost distilleries’ bin. Having said that, whisky 100 years ago was not the same thing it is now – you’d have been hard pushed to find a single malt from one of Edinburgh’s many distilleries. After hosting a walking tour around the current and past distilleries of Edinburgh, it inspired me to go searching for more evidence. There are some excellent online resources, with the National Library for Scotland providing a comprehensive history of town plans (of particular use, the very detailed 1849 and 1893 plans). There are also resources from individuals, like the excellent Lost Distilleries of Scotland, but even combined with maps, there are always a few tantalising details missing. That’s until I found about Post Office Directories. I was introduced to these by way of a friend’s Uncle, who happened to have a nice original set to look through. 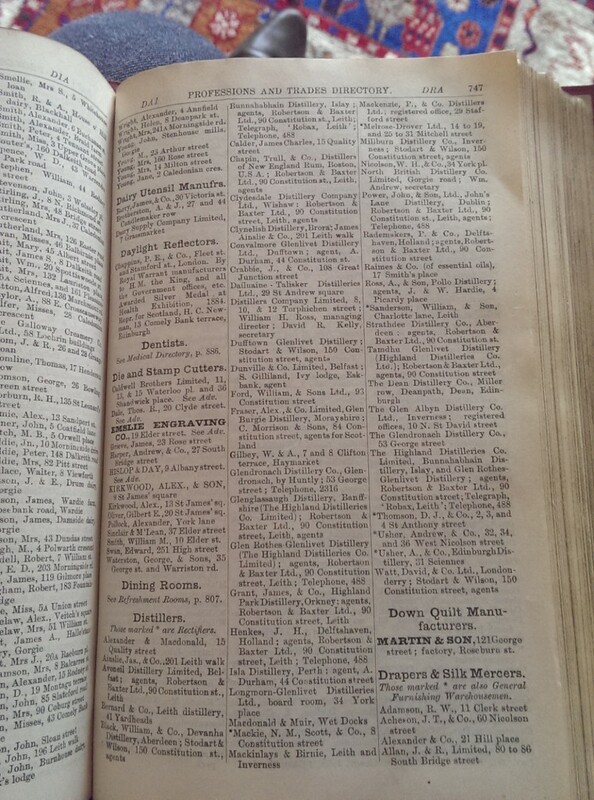 Some of the larger volumes contain listed addresses by profession / company name – perfect for looking up active distilleries and their addresses! Could this be the missing link? 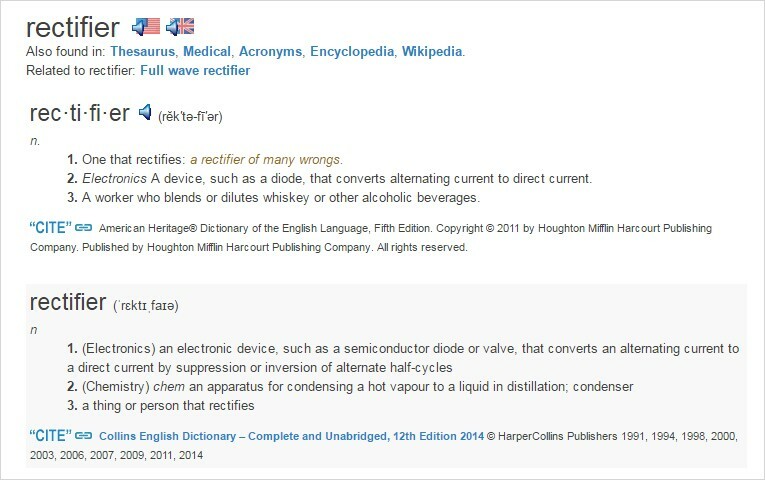 Let’s just take one example for now, that of this distillery in Sciennes. The information listed on the Lost Distilleries website is excellent, all except the location of ‘Sciennes, Edinburgh’. Now Sciennes is both a region of Edinburgh and the name of a street, so this gets even more confusing. 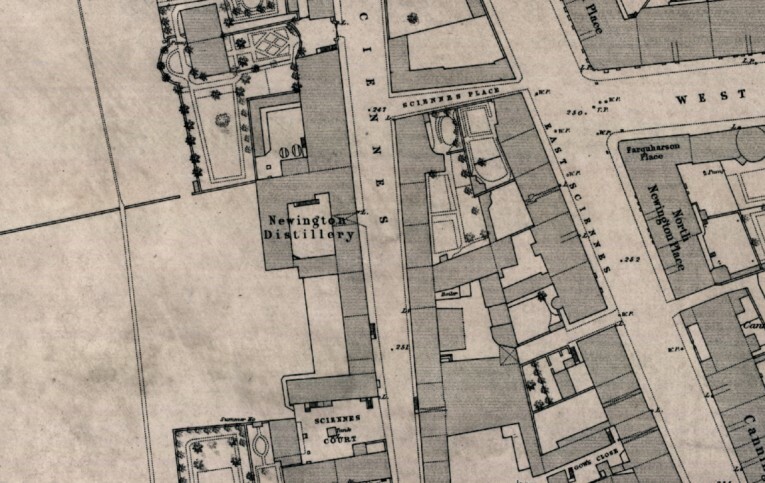 The pictures purporting to show the remaining distillery buildings are at the intersection of Sciennes and Sciennes Road, and to be honest, don’t look likely candidates to have held a distillery.. (perhaps its offices?). So, let’s dig deeper in that directory. We’re looking for a listing for any of the names (West Sciennes, Newington, Glen Sciennes, Edinburgh), but no joy. Scrolling through every record though, we do find at the end a listing for ‘Usher, A., & Co., Edinburgh Distillery, 31 Sciennes’. Bingo! Now we have an address and a confirmation of the name at this time. A stained glass window advertising Andrew Usher’s whisky – Bennet’s Bar, Edinburgh. The final part of our investigation is to look at what’s there now.. It seems the distillery was indeed demolished in the 1980s, and replaced with brick flats. I’ve been in one of these flats before, perhaps I was on more spirited turf than I realised? You can have a look on street view, but there’s nothing there – the buildings on the lost distilleries website are at the end of the road (on the left) – you can decide for yourself if they look whisky-related. I’ve looked through every town plan from the NLS online collection and there is never any mention of those building being related to the distillery, but the renaming to ‘Edinburgh Distillery’ seems to check out. This entry was tagged edinburgh, edinburgh's lost distilleries, history, maps, newington, sciennes, whisky. Bookmark the permalink.